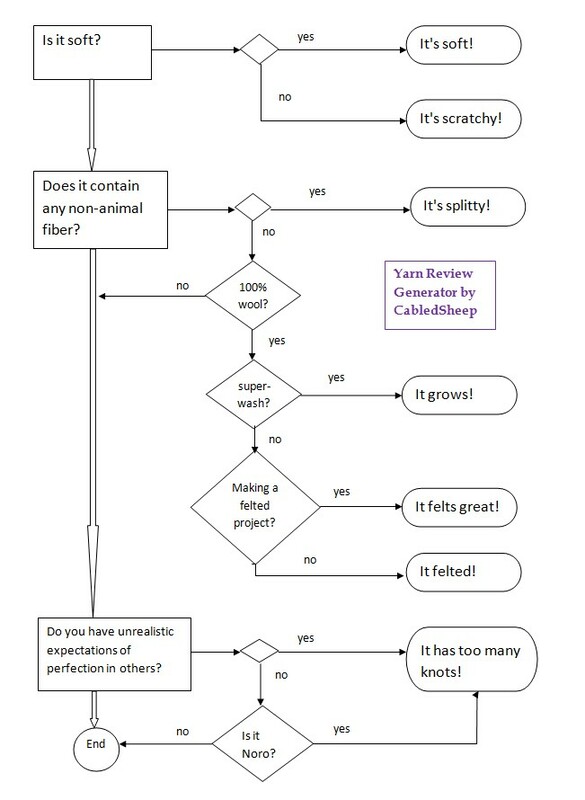 As a public service, I thought I’d create a flowchart for automatically creating yarn reviews. Just answer a few simple questions, and copy the answers. Please note that the exclamation marks are required. You may feel free to add additional exclamation marks as needed. This entry was posted in Uncategorized and tagged Yarn. Bookmark the permalink. Funny, and awe-spiring all at once.